I just recently played through the Pikmin re-release on the Wii. I don’t really know what it was about it that inspired this comic, but here it is. Maybe this gritty reboot of Pikmin will come to pass in about 20 years, with Tim Curry playing the voice of Emperor Bulblax and Nolan North as the noble Captain Olimar. praise your gritty Pikmin reboot! 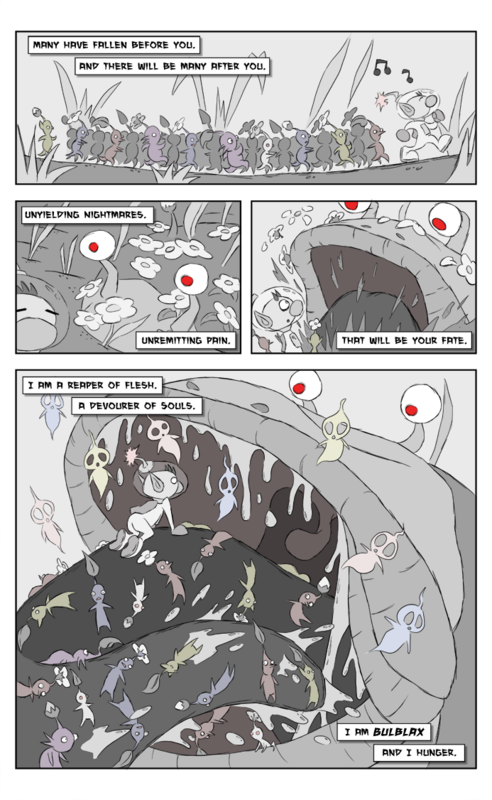 This will be the premise of the eventual Pikmin 4.